By 1898 the Langman family had moved from South Norwood to Lower Sydenham. On the twenty ninth July their son Frederick was born at 170 Sydenham Road Lower Sydeham. The birth was registered on the ninth of september (see certificate above). 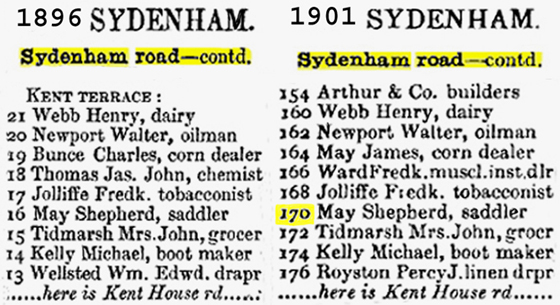 The directory shown left lists this section of sydenham road around this time. 170 is the shop of Shepherd May, saddler. The Langmans lived above this shop. 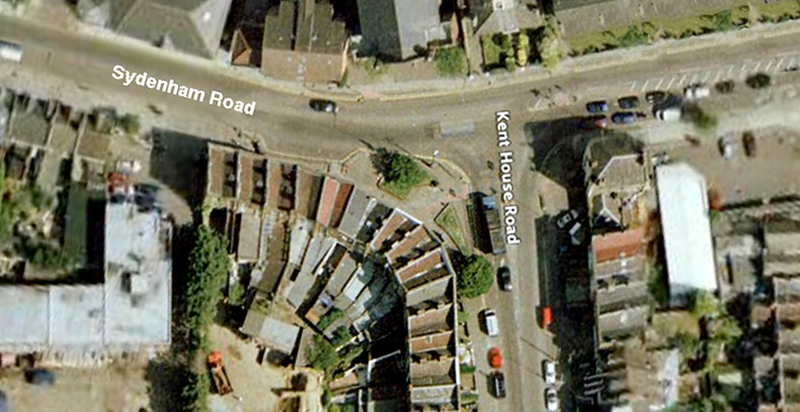 The aerial pic below shows the road junction where they lived.